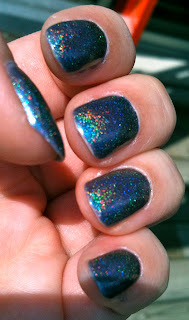 Hebridean Sprite Beauty: Ozotic 533~ A stunning colour changing holographic polish! Ozotic 533~ A stunning colour changing holographic polish! 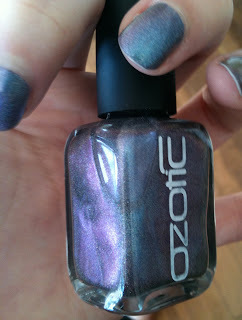 One of my happiest purchases lately has been Ozotic 533. 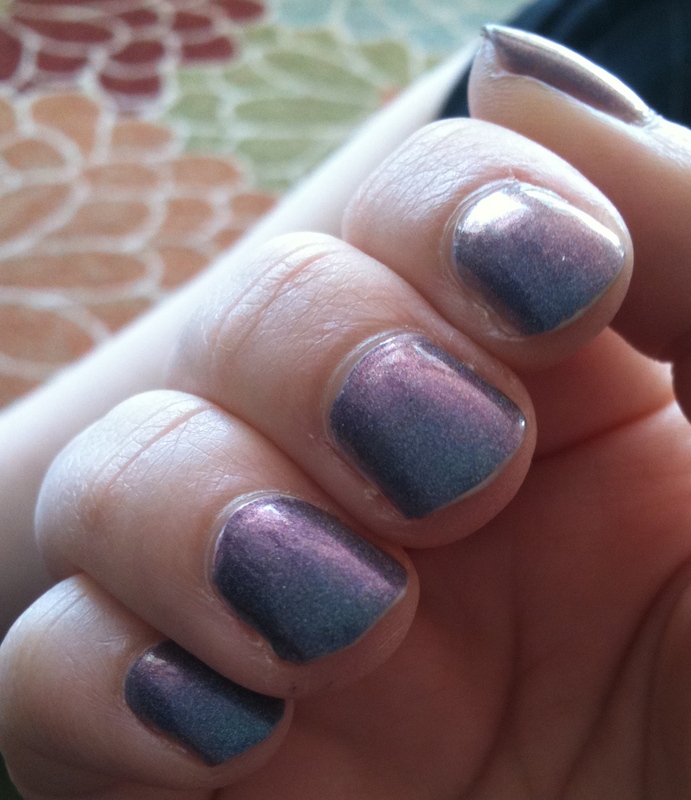 This is a Periwinkle blue shade that changes to denim blue, violet and even rose depending on the lighting. 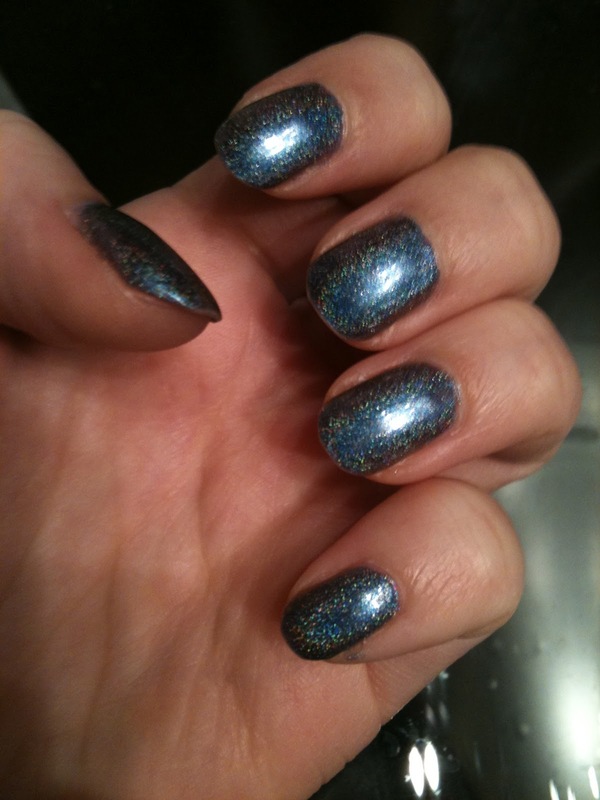 It also has holographic sparkle in it. Pictured it is two coats over A England Gwenivere but the coats were thick enough I didn't really need the base colour as I thought I was going too. They are no longer producing any more of these shades so be sure to pick them up while they're still available. I purchased mine through the Llarowe website. 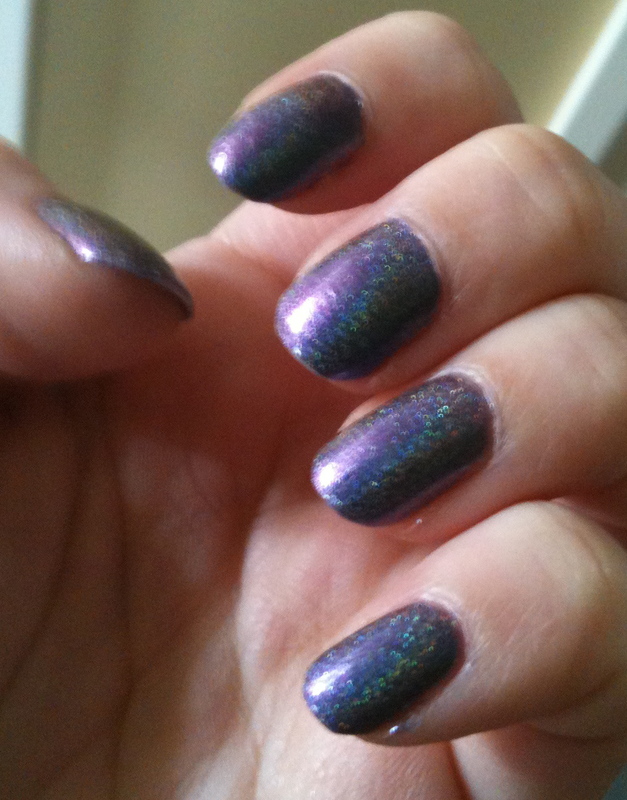 Yes those pictures are all of the same polish! 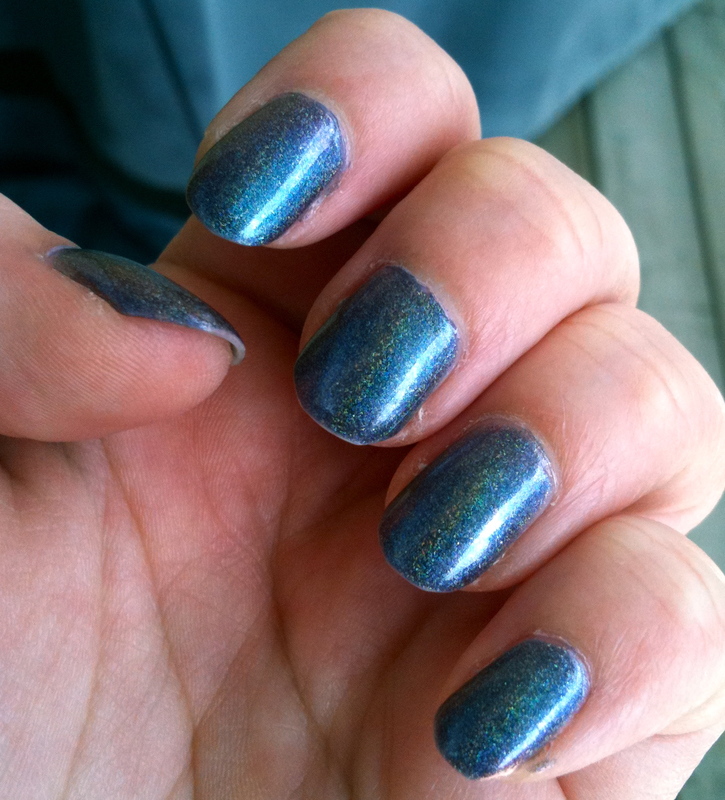 The staying power on this one was excellent (very little chipping until it grew out so I took it off) though the formula needs to dry a bit longer than average between coats to prevent dragging. These average around $15 USD and though that puts them as expensive to me I think they're worth the price! 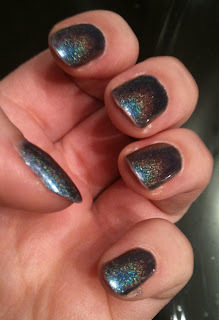 The four Ozotic 'mish mash' shades (multichrome holographic combinations) are 531, 532, 533 and 534. Do you have any shades that have blown you away lately? Would I Buy it Again? YES! 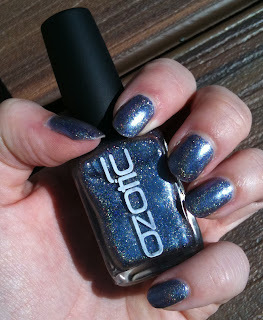 Such an amazing shade!